Tuesday, 7 April, 2009 – Nick. 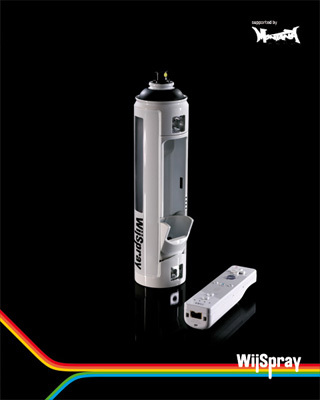 WiiSpray looks awesome. It’s a digital spray-can art application built using Adobe Flash and WiiFlash and offering a special spray-can wii-remote housing. WiiSpray Teaser from Martin Lihs on Vimeo.